the "revealed" axiom that all phenomena are at root constellated by a wave form which is the hierarchical summation of its constituent parts, morphogenetic patterns related to those in DNA. ... We argue that the theory of the hyperspatial nature of superconductive bonds, and the experiment we devised to test that theory, yielded ... a modular wave-hierarchy theory of the nature of time that we have been able to construe, using a particular mathematical treatment of the I Ching, into a general theory of systems, which illuminates the nature of time and organism and provides an idea model which explains the interconnection of physical and psychological phenomena from the submolecular to the macrocosmic level. Alfred North Whitehead proposed ... that history grows toward what he called a "nexus of completion." And these nexuses of completion themselves grow together into what he called the "concrescence." A concrescence exerts a kind of attraction, which can be thought of as the temporal equivalent of gravity, except all objects in the universe are drawn toward it through time, not space. As we approach the lip of this cascade into concrescence, novelty, and completion, time seems to speed up and boundaries begin to dissolve. The more boundaries that dissolve, the closer to the concrescence we are. When we finally reach it, there will be no boundaries, only eternity as we become all space and time, alive and dead, here and there, before and after. Because this singularity can simultaneously co-exist in states that are contradictory, it is something which transcends rational apprehension. But it gives the universe meaning, because all processes can be seen to be seeking and moving in an effort to approximate, connect with, and append to this transcendental object at the end of time. The movement into the future always involves the revisioning of the past. ... History turns on a spiral, and with each turn it comes back on a new level to the initial position, from the Freemasonry of Mozart's Magic Flute to the Hermeticism of the Renaissance to the syncretism of Plutarch's Roman Empire to the New Kingdom and the reformation of Egyptian religion to the Old Kingdom and the founding of civilization. Not the least part of the fascination that history exerts over [some of] us, especially if we belong to an old country with longer memories and perspectives, is to recognize the recurrence of similar situations, to watch the parallels that occur, the patterns that unfold in familiar shapes though never precisely the same. The game has an intellectual, no less than an aesthetic, interest: we should be able to learn from these recurring situations, these patterns of events and parallels of conduct, not to make comparable mistakes. During 1986-1999 Peter Meyer studied and improved the foundations of the theory of Timewave Zero (as first proposed by Terence McKenna) and developed software to illustrate and explore this theory. 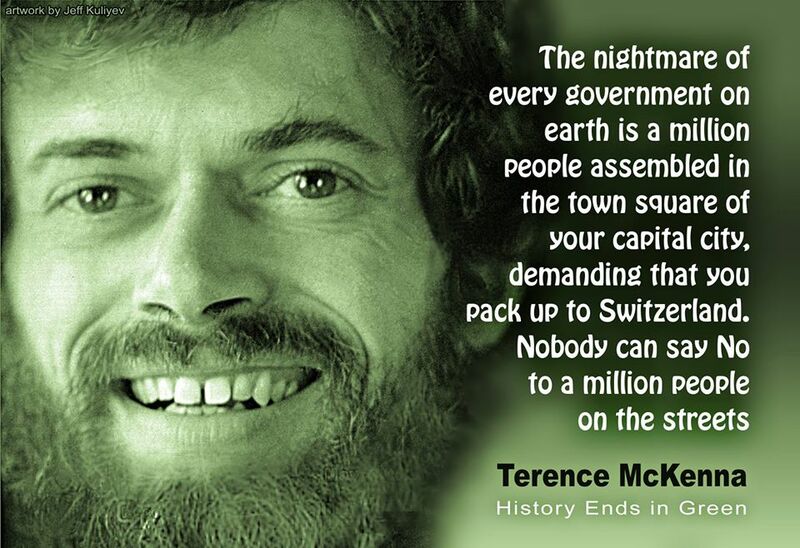 He did this in collaboration with Terence, and had many discussions with him during 1986-1994 about the theory. The software was first developed for the Apple //e computer and later (in 1989) ported to MS-DOS to run on Intel PCs. In its final form, Fractal Time (version 7.10), this software runs under Windows. It is now available on CD-ROM, along with nearly 40 articles concerning Timewave Zero and related subjects. When December 21, 2012, passed without the arrival either of space aliens or of time-travelers from the future some people claimed, rather unkindly, that this proved that Timewave Zero was a load of rubbish. But it is not generally known that a specific zero date is not implied by the theory of TWZ. 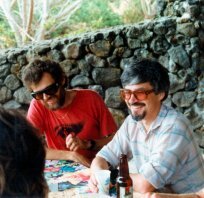 December 21 was an estimate that Terence McKenna made sometime in the 1980s, and there is reason to believe that his estimate was mistaken. So the non-arrival of the Eschaton in December 2012 does not imply that TWZ can be dismissed as a fantasy, especially if there is a reasonable basis for proposing an alternative zero date. Such a basis (namely, that the use of nuclear explosives on 9/11/2001 to demolisth the Twin Towers was the most novel event in living memory) is given in the article The Zero Date Reconsidered. is also available on CD-ROM and USB flash drive. The 3d images of the Timewave on this site were done by Aix, to whom thanks.